Hi everyone. A company has paid and provided me with a PCQI course to complete. However this course is 100% online and is through www.imepik.com. (I guess it's cheaper). Does anyone know anything about this training? Should I have taken it through a training that is recognized by FSPCA and FDA approved? They do indicate on their website that is recognized by the FDA and their manual is very similar to the FSPCA (some taken from too). Or would this be sufficient. I have 2 years Food Safety/Quality experience & a bachelor degree and HACCP certified. Thank you! Edited by The Food Scientist, 18 March 2019 - 01:55 PM. I've not heard of the company though you should be okay. FSMA rules don't specifically say you have to attend a PCQI course or even a certified PCQI course though it is recommended. My concern would be the information given and its accuracy. With a certified course, the organizations are usually held to higher standards along with their instructors. If the PCQI training isn't required under FSMA guidelines then can you define the difference between a PCQI and a QI? Below was taken straight from the FDA website. Based upon the answers below is why I said the course isn't specifically required. Personally I've never heard of a QI so I can't say what the difference is. PC.5 What is a preventive controls qualified individual? PC.7 How does a PCQI demonstrate that he or she is qualified to serve as a PCQI? The preventive controls for human food final rule specifies that a PCQI is a qualified individual who has successfully completed training in the development and application of risk-based preventive controls at least equivalent to that received under a standardized curriculum recognized as adequate by FDA or be otherwise qualified through job experience to develop and apply a food safety system. Job experience may qualify an individual to perform these functions if such experience has provided an individual with knowledge at least equivalent to that provided through the standardized curriculum. 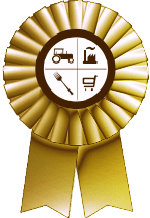 However, the rule does not require any specific certifications, including certification by the Food Safety Preventive Controls Alliance (FSPCA). An individual may voluntarily choose to attend the PCQI training provided through the FSPCA, but this is not mandatory. In general, FDA will assess the adequacy of a facility’s food safety plan rather than an individual’s documented qualifications. Deficiencies in the food safety plan indicate that a PCQI may need additional training specific to the rule, irrespective of documented training and experience. PC.8 I have many food safety certifications (HACCP, GFSI, SQF, BRC, etc). Do I still need to take the PCQI training from the FSPCA? The preventive controls for human food rule specifies that a PCQI is a qualified individual who has successfully completed training in the development and application of risk-based preventive controls at least equivalent to that received under a standardized curriculum recognized as adequate by FDA or be otherwise qualified through job experience to develop and apply a food safety system. Job experience may qualify an individual to perform these functions if such experience has provided an individual with knowledge at least equivalent to that provided through the standardized curriculum. There are some differences in the requirements of the CGMP & PC rule compared to the requirements of HACCP regulations and other preventive-based food safety programs such that the training provided by the International HACCP Alliance/GFSI/SQF/BRC etc or other institutions might not be equivalent. Such an individual may need additional training specific to the CGMP & PC rule. However, the CGMP & PC rule does not require any specific certifications, including certification by the FSPCA. In general, FDA will assess the adequacy of a facility’s food safety plan rather than an individual’s documented qualifications. Deficiencies in the food safety plan indicate that a PCQI may need additional training specific to the rule, irrespective of documented training and experience. PC.9 I have worked as a food safety manager for a very long time. Do I need to take PCQI training, or does my job experience satisfy the requirements to be a PCQI? In general, FDA will assess the adequacy of a facility’s food safety plan rather than an individual’s documented qualifications. Deficiencies in the food safety plan indicate that a PCQI may need additional training specific to the rule, irrespective of documented training and experience. Edited by KfromIA, 21 March 2019 - 09:08 PM.